Studying criminology at Ohio State University. Nicknamed Lanna & Baby Goldie. Enjoys hiking, running, and binge watching TV shows, of which her favorite is Game of Thrones. Also loves the movie Big Hero 6. Her role model is Taylor Swift. Pre-competition ritual is simple: “I always like to wake up early and talk to my family.” Describes her fencing style as impatient. Hopes to someday work in the K9 unit of the RCMP or become a lawyer. 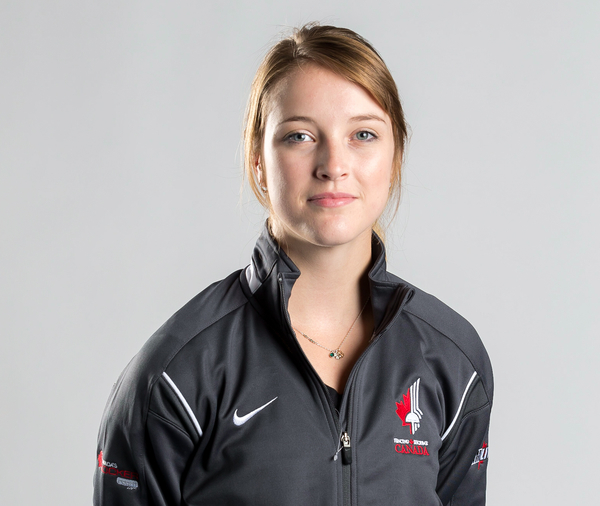 Career highlights include her 3rd place finish at the 2010 Junior World Cup, 2nd place finish in team foil at the 2011 Pan Am Games, 1st place finish at the Junior World Cup in 2012, two-time bronze medalist at the NCAA National Championships, and 2015 Pan Am Games gold medalist in team foil.